All prices include the tree, planting, fertilization, and a one year warranty. In most cases delivery is also included. Extended warranties can also be purchased for 20% of the purchase price for each tree per year. 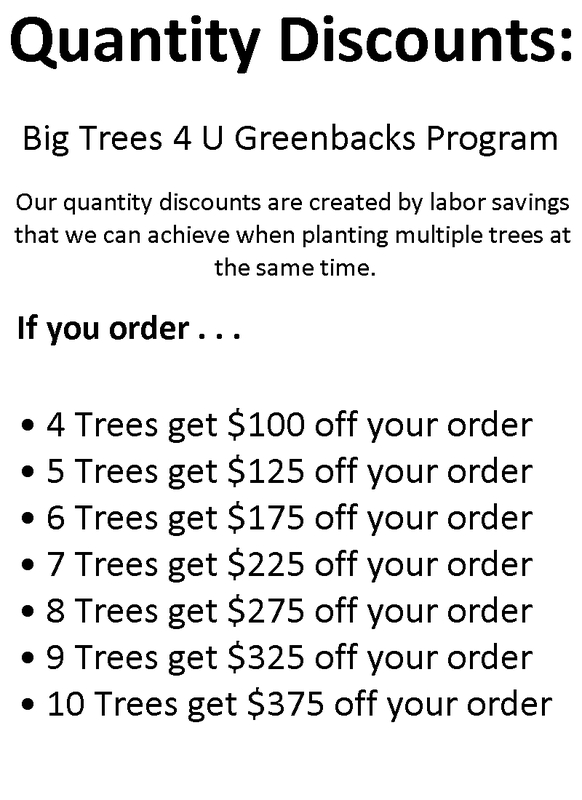 All trees supplied by Big Trees 4 U are locally grown. We only select the most quality trees for your property. If there is a tree you are interested in but do not see it on this site, let us know. We provide a large selection of trees and shrubs, these are only our most popular. Prices may subject to change based on the availability of trees, please call or email us for details.